It's not just the Mustang Bullitt making a comeback. 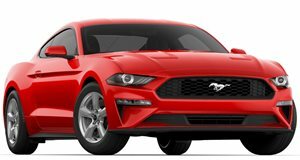 After announcing the and teasing a at the North American International Auto Show in Detroit this January, Ford has surprised us with even more updates to its pony car for the 2019 model year. Since 1968, the California Special has been a design package meant to kick the Mustang's visual drama up a notch, and it returns for 2019 in its fifth iteration with a host of changes to set your Mustang apart from the pack. This is your PCH ride of choice. Unlike the Bullitt, which received a 15-horsepower bump over standard GT models, the 2019 Mustang GT California Special—or GT/CS for short—is purely a design upgrade. It wears unique five-spoke painted machined wheels, a fading stripe down its side, California Special badging in script on its trunk, and leverages history for a retro inspired, blacked-out grille that sits above a Mustang Performance Pack 1 splitter. Inside, the GT/CS wears black Mako suede-trimmed seats with embossed insignia and contrast red stitching, GT/CS embroidered floor mats, and a California Special badge affixed to the passenger-side dashboard. 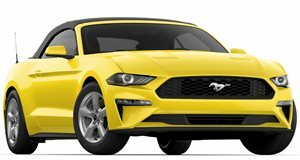 Ford didn't leave out buyers looking for a bit more performance from the forthcoming 2019 Mustang. GT models equipped with six-speed manual transmissions and optioned with the car's Performance Package now get rev-matching. Drivers won't need to heel-toe downshift to smooth out shifts any longer as the car will rev its 460-hp 5.0-liter V8 to match the anticipated gear. EcoBoost models also get an upgrade previously seen on GT models: Ford's patented, fully variable, active-valve performance exhaust. On GT models, the exhaust gives the V8 some more growl and also allows for a "quiet startup" in "" mode. That system allows you to quietly fire up your Mustang before your early morning commute without waking up your neighbors. Now it's available on EcoBoost models, and Ford claims it gives the turbo four-pot "an aggressive snarl" when opened—which, in this author's opinion, was desperately needed. Last but not least, Ford will make available a new 1000W audio system from Bang & Olufsen on 2019 Mustang models. B&O Play includes a 10-channel amplifier powering 12 speakers, which Ford claims are specifically tuned to the Mustang's interior acoustics. The new 2019 Ford Mustang will begin arriving on dealer lots this summer in a new range of vintage-inspired colors: Velocity Blue, Need for Green, and Bullitt's exclusive Dark Highland Green. Ford did not announce pricing details for the California Special or any of the aforementioned options, but it did send along some historical photos and infographic of past CS models, which we've happily shared with you here.